It seems like months since I last did a storage sunday post! 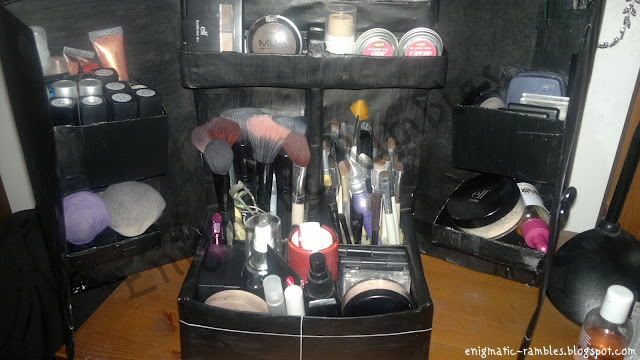 I had been looking for a way of storing my make up for a while, I did have some plastic draws but they were over flowing and I had a lot of clutter on my 'lady table'. 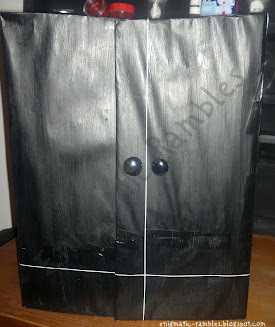 I saw some advertised on QVC america on YouTube and that gave me some inspiration to make my own Make Up Wardrobe. Especially seeing the price they were charging for it! It's about 30cm tall and doesn't usually look so botched up. I blame the flash! And yes that would be nail art striping tape! What do you think, any good or a bit too Blue Peter style?